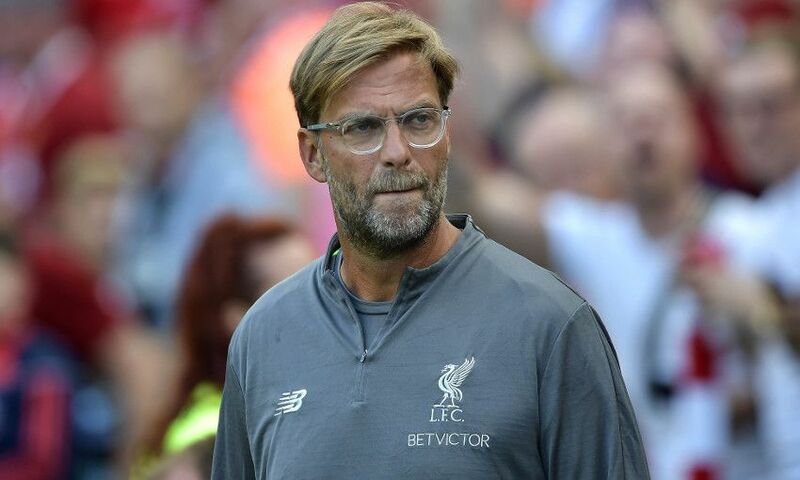 Jürgen Klopp insisted Liverpool still have plenty of work to do before the start of the new campaign, despite earning a 5-0 victory over Napoli in their penultimate pre-season friendly of the summer. The Reds looked in fine fettle at Dublin's Aviva Stadium, putting top European opposition to the sword courtesy of goals from James Milner, Gini Wijnaldum, Mohamed Salah, Daniel Sturridge and Alberto Moreno. Speaking after the match, however, Klopp sounded a note of caution over the possibility of expectations rocketing, insisting he saw plenty in the performance that will require further tweaks at Melwood. 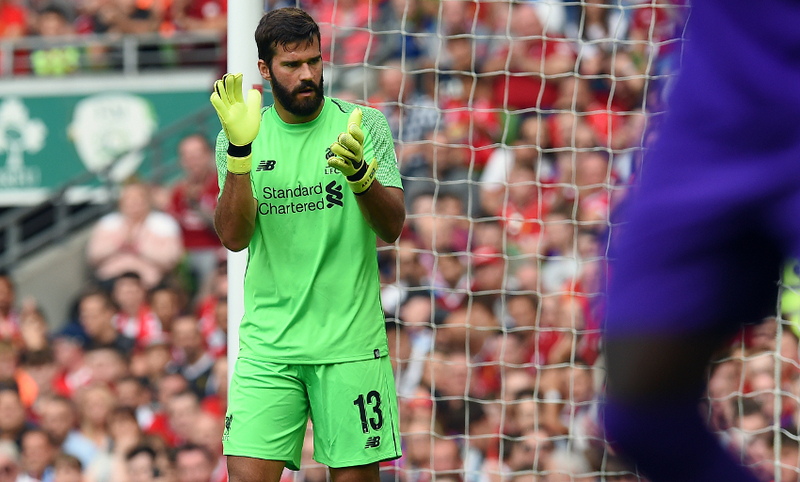 The boss - who revealed that Milner received 15 stitches in a head injury sustained during the second half - also discussed the possibility of further transfers before Thursday's deadline, Alisson Becker's debut and the prospects of one young Irishman in his squad. Read on for a full transcript of his post-match press conference. To be honest, the result is something I'm really not interested in, [more] big parts of the performance. Pre-season, you can lose a game like this and it [doesn't mean] everything you did before was wrong and if you win 5-0 it [doesn't mean] everything was right. That's pretty much the case. It was, in a lot of moments - especially around the goals and a few more moments - brilliant. How we finished, how we scored in different situations, that was all good. Organisation-wise was good in the good parts of the game, in the average parts [it was] not good. You saw all the first half, we were 2-0 up but [there were] too many spaces for Napoli, so that's of course something we saw and we will work on, that's clear. [There are] different reasons for that; the different fitness levels of the players. Bobby [has been] in for four days, but he looked like he could play longer. Sadio, Mo came back longer [ago] but they are in a different part of the pre-season so they must be tired now - you could see they are. Endurance-wise they are not where they have to be for the start of the season so we still have to work on that. I don't care what people think now about our team, our squad, that's really not important. It's only important that we make sure that we get a team together for the Tuesday game and then, even more important, for the Sunday against West Ham. They will be a completely different challenge, we know that already. So, don't let the expectations grow somewhere because the Premier League is hard work and not flying football. It's not about winning 5-0, it's about winning 1-0 five times much more. But, of course, it's much better than we would have lost 5-0 [and have] no confidence and need to work on pretty much everything. We know what we have to work on and we will do that. We will see what happens. If any player from my team is available, then in every other situation in my life as a manager I would have bought all of them, to be honest. They are all fantastic boys, they are able to play fantastic football. In this moment, the squad would be too big, that's true. But it's not that that means for us that we give them for free or something like that, Liverpool is strong enough to keep all these players and then we deal with that. We are not there to make other teams stronger, that's not our job. Hopefully, but we will know that after the season because how strong the squad is, the season will show and not the transfers or whatever, or the price you paid, or the money value of the squad. It's only about the football and that's what we have to do. We have to show day in and day out in the next few weeks and you will always have difficult situations like we had today. James Milner played a brilliant game before going off with a crazy cut. [He's had] a lot of stitches, 15, and you don't want that in that position in your face. But then he is quite positive about it, but probably nobody showed him the mirror so far! Hopefully it will be good and that's very important. It's not about celebrating the moment, it's about working for the big moments. He's quite a good footballer - probably as good as the goalie he is! An all-round good performance for the first game, especially because I think everyone can imagine what happens inside a human being in a situation like that, playing the first game after all the things that were written about it and all that stuff. Playing against Napoli, it was the strongest side we played so far, 100 per cent - they had nearly a full squad here and it can look completely different. He was very, very aware of all situations when he was needed behind a high last line. We involved him a lot in our build-up, but we need to get used to that a little bit more still - that's clear [and] he needs to get used to it a little bit more, but there were a lot of good build-up situations, so that helps. But at the end he's there to catch balls and he did that in all the decisive moments today, so I'm really pleased. I can imagine you want to hear about that! He's an outstanding talent, outstanding. Very cool with the ball as we saw in the pre-season games when he played in front of 100,000 and 60,000 he wasn't bothered about that, and that's a very important skill. He was for a long time in his youth an outfield player [and] he must have been a very good outfield player as well because he's really good in that. Fantastic reactions and, if nothing serious happens, he has a really fantastic future. I don't know in the moment how many really good goalkeepers Ireland has, but having one more is never a big mistake. I like him a lot and I'm happy we have him in our squad.